No bad blood here. 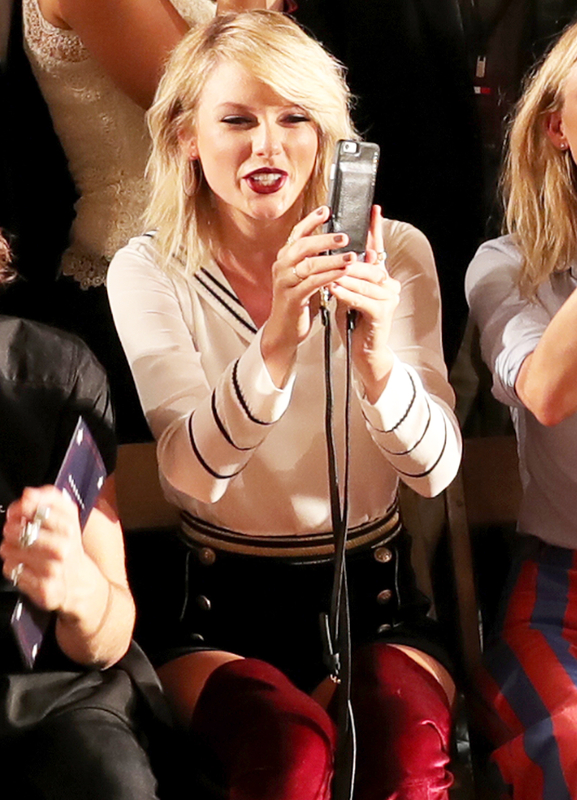 Taylor Swift shared a video on Instagram of herself singing along to her and ex-boyfriend Calvin Harris’ track “This Is What You Came For” while cheering on Gigi Hadid during her TommyxGigi NYFW show on Friday, September 9. “SO PROUD OF YOU GIGI!!!! That show was INSANE. Congrats to Gi, Tommy, and all the girls who just owned that runway!! @gigihadid @marthahunt #tommyxgigi,” the “Bad Blood” singer, 26, captioned the video. In the clip, Hadid, 21, struts her stuff past Swift and pal Martha Hunt, who are sitting in the front row and singing along to the hit track. In July, after much speculation, it was revealed that Swift did indeed write the lyrics and melody to the track under the pseudonym Nils Sjoberg. The revelation sparked a feud between Harris and Swift, considering in the past, the Scottish DJ and producer, 32, had shut down ever collaborating with his then-girlfriend. After Swift’s rep confirmed that Swift worked on the track — after her split from Harris in June and early on in her short-lived relationship with Tom Hiddleston — the DJ lashed out on Twitter. Both exes have seemingly moved on from the feud. During an interview with British GQ, the Scot admitted that he regrets his comments about his ex. "It was completely the wrong instinct. I was protecting what I see as my one talent in the world being belittled," he told the magazine. “It felt like things were piling on top of me, and that was when I snapped. I’m not good at being a celebrity, but when it ended, all hell broke loose. Now I see that Twitter thing as a result of me succumbing to pressure. It took me a minute to realize that none of that matters. I’m a positive guy."